We'll get the highest price for your property! 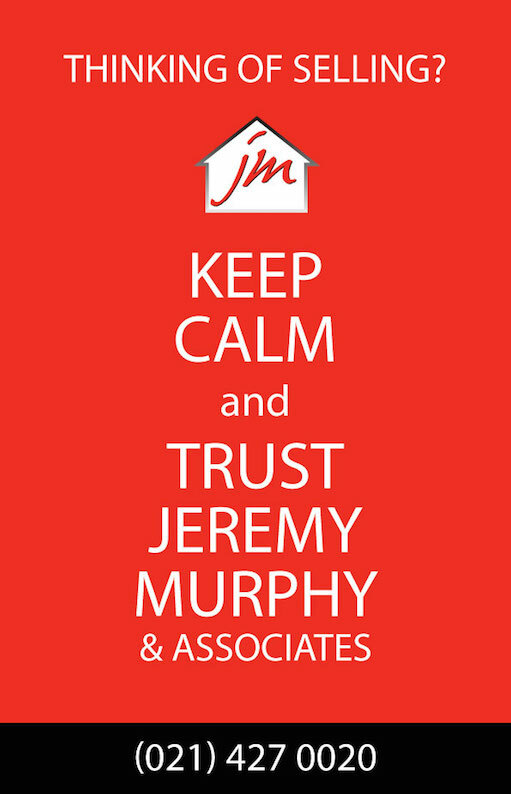 In a nutshell, Jeremy Murphy & Associates will guarantee you the highest price for your property, by putting a suitable marketing structure in place, finding a buyer that will work towards your time frame, causing minimal stress, and conducting all negotiations in an honourable and confidential fashion. Have one of our qualified sales staff call and give you a current valuation based on experirence and a knowledge of the local market. When we meet first we will provide you with a detailed marketing proposal pack with sample brochures and sample press advertising. We will place your property on our high street display windows with large frontage facing onto the South Mall. Your property will be displayed in our state-of-the art backlit windows. You will have the opportunity to proof and offer your own thoughts on the brochures, all our clients input is seen as invaluable. Undoubtedly the most popular way for purchasers to source property. Your property will be displayed on www.Daft.ie, myhome.ie and JeremyMurphyandassociates.ie. With a strong selling presence in your locality we will have a database of buyers and underbidders to contact immediately. Our sign boards are easily recognisable and are a cost effective and efficient form of advertising to the passerby. We always include our office number, website and mobile number on the sign so purchasers can access details of your property 24/7. Depending on the type of property we will vary the size of For Sale sign and we will also place arrows at the edge of estates etc. Advertising is a key part to the successful marketing of a property. The main news paper medium used in Cork is The Examiner Property Supplement published every Saturday. We can also give access to other National publications or smaller publications. We will also endeavor to get you some editorial coverage on the property supplements. Obviously this will be at the editors discretion and will depend on the type of property for sale. Our office is open from Monday-Friday from 9.00am to 5.30pm.. We will gladly facilitate sellers and buyers with appointments after hours, once we have some notice. We are also contactable at any time on mobile. Our ability to negotiate high prices on your behalf is the key to a mutually beneficial relationship. Our staff have received training in this area which is crucial at delicate times during a sale. You will get regular honest updates on the progress of your house sale. We will meet you as the sale progresses so you will be highly involved in any major decisions. This is the most important thing we have. Everyone is treated equally in an honourable and decent manner. This is verified by the amount of referrals and repeat business we get because we believe in "110% service from start to finish"